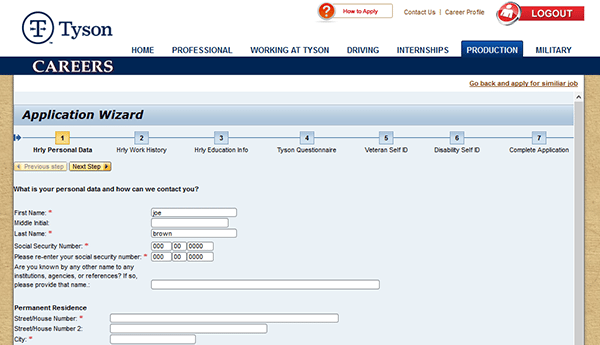 The Tyson Foods job application can be accessed by visiting the company’s main careers website. Use the links provided on this page to go to the employment site. The guide posted in the section below details the company’s online job search and application process. Numerous types of careers can be applied for online including corporate, operations, and distribution positions. 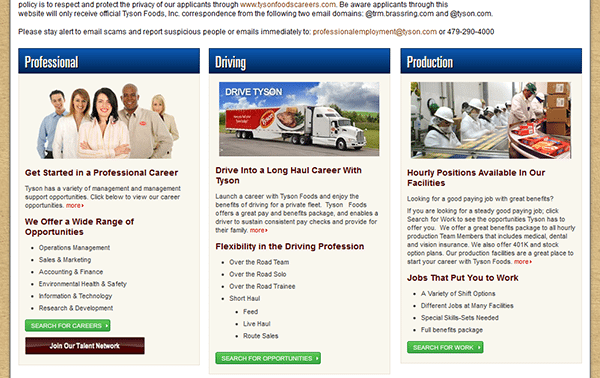 About the Company: Tyson Foods is an American food processing/marketing company based out of Springdale, Arkansas. The company was founded in 1935 and is one of the largest food processing operations in the world. 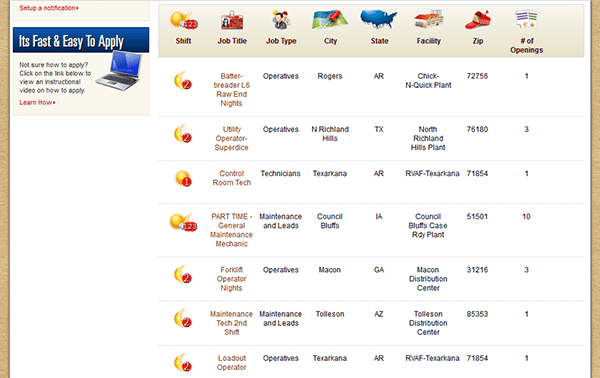 Step 1 – Use this link to open the company’s employment site in a new browser window/tab. Step 2 – Scroll down the page and click the “Search for Careers” button/link that corresponds to the type of job that you’re interested in (i.e. corporate, distribution, or processing). Step 3 – The results can be filtered by state, city, shift, or facility name (for processing positions). Press the “Search” button to view the list of updated results. 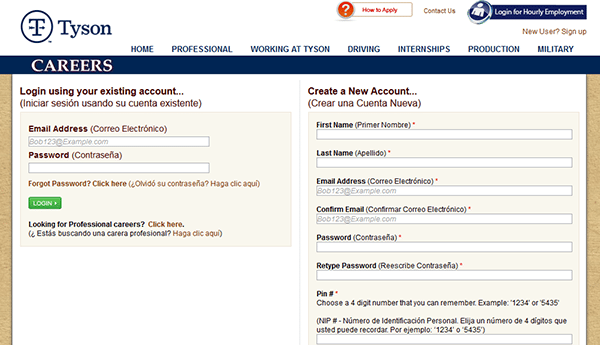 Step 4 – Click the link of the specific position that you intend on submitting an application for. 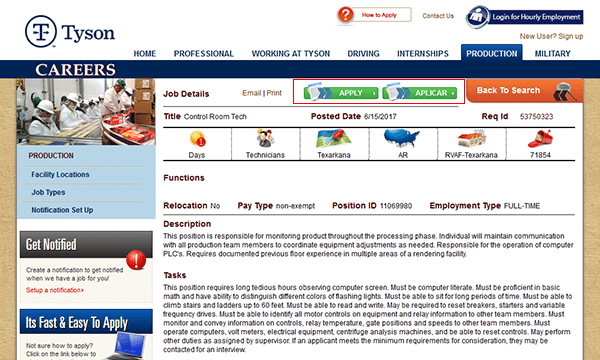 Step 5 – Review the job description and then press the button as outlined in red in the below screenshot.